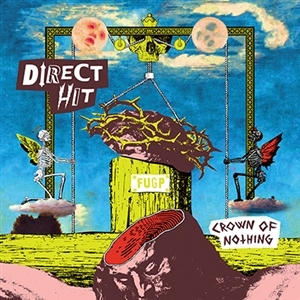 DIRECT HIT deftly pivots from one style to the next over the 44 minutes that make up Crown of Nothing. Album opener "Different Universe" has a killer new-wave vibe, "Pain/Boredom" is a guaranteed circle pit starter, and "Bad Answer" is loaded with fuzz bass, a disco beat, and topped off with a sweet saxophonesolo (because, why not?). DIRECT HIT weaves through genres with such precision and artistry that Crown of Nothing feels like the most incredible mix CD you've ever heard!